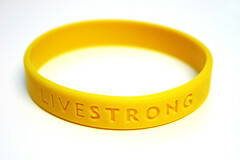 Lance Armstrong. Those two words which have thrown the sporting world into turmoil. A legend was built up around the man who many people thought had fought cancer and not only survived, but achieved the ultimate physical feat by winning the Tour de France seven times. The now disgraced sportsman is finally getting his comeuppance after years of illegal doping and strenuous denials, which left many of us – including me – feeling sorry for the man who beat cancer only to face a barrage of accusations. It’s only recently that the scale of the cover-up – the manipulation and calculation – has come to light. Just this week Nike pulled the plug on the lucrative endorsement deal with the sportsman. In a statement Nike said: “Due to the seemingly insurmountable evidence that Lance Armstrong participated in doping and misled Nike for more than a decade, it is with great sadness that we have terminated our contract with him. Nike does not condone the use of illegal performance enhancing drugs in any manner.” Nike did, however, decide to continue to support Armstrong’s cancer charity, Livestrong. The move followed a 202 page report by the US Anti Doping Agency which detailed the evidence stacked irrefutably against Armstrong. RadioShack, who backed Armstrong’s since 2009, have also severed ties with the Texan. Oakley are also reviewing their relationship with Armstrong and he faces being stripped of his seven Tour de France titles. What is astounding is that – despite being caught out for years of pretending everyone else was out to sully his character and reputation – Armstrong is still seemingly unable to hold his hands up and admit that he did cheat. Armstrong may have reached the heady heights of legendary status, but the legend itself proved to be nothing more than a myth.